Weatherwise, it's been a relatively nice week 1898 in Wakefield, Nebraska. The daily high temps have been just nudging above 80 degrees, making this ideal weather for shocking wheat and working long hours in the sun. Seventeen-year-old Charles Leonard (Lennie) Davis is undoubtedly working with a large crew of men on his friend's farm for it took many hands to do this kind of work. Started to cut wheat, shocked all day. Did not go to town to the show. Went to town at night. Boys out until 9 oclock. Rained in morning didn't work in morning finished shocking wheat. Fixed up shocks in forenoon. This week President McKinley provided terms for peace to the Spanish through France. 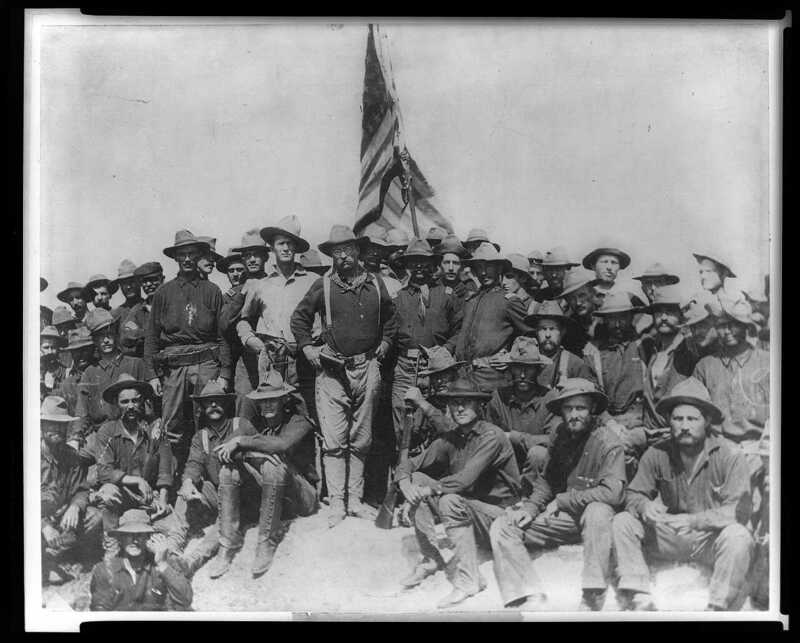 The Omaha Daily Bee is full of news on the Spanish-American War. Troops have landed at "Porto Rico" as it is spelled in the Omaha news. 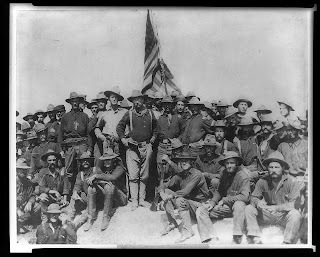 The photo to the right was taken nearly a month previous on July 1 at San Juan Hill and depicts Teddy Roosevelt and his Rough Riders.